In this blog entry, Alex Lubet, author of Music, Disability, and Society, explains how he came to write about disability studies in music. After a two decades long-career, as a composer, performer, and teacher, I first became interested in disability studies as the result of a music-related injury, spinal neurosurgery, and especially years of return-to-work issues. Music, Disability, and Society is the culmination of a decade of research. It includes examples from many kinds of music and numerous disability identities, as they intersection in places including Afghanistan and Pakistan under the Taliban’s reign of terror, a school orchestra of blind women in Cairo, Egypt, the jazz scenes of Europe and the US, the world’s classical concert halls and conservatories, and finally Minnesota, where I have lived, taught, and made music for over thirty years. Although, on one level, Music, Disability, and Society reads like a series of distinct accounts of quite different encounters between music and disability, these stories are united by a single theme, which I call “social confluence theory.” Simply put, the theory argues that, in contemporary, globalized society, identity can no longer be understood as an individual’s fixed state or category, but something that shifts constantly, based on the context of each of our momentary encounters, or “social confluences.” It is possible, even probable, that each of us will shift identities – how we are regarded and even how we regard ourselves – several times a day, and often in surprising ways. For example, the musicians of the aforementioned “blind orchestra” have (with the assistance of their beloved, sighted “maestro”) transformed what is typically the world’s most vision-centric musical ensemble – wholly reliant on sightreading print notation and visually tracking the movements of a baton-wielding conductor – into a performance culture – a social confluence — in which these women’s virtues of memory work, extensive rehearsal, and intense listening render them, as musicians, wholly able. Elsewhere, in Afghanistan and Pakistan, the Taliban’s ultra-harsh interpretation and enforcement of Islamic law, including a code of vices and virtues that repeatedly decries music in any form, transforms those whose gift of and love for music is so strong that they literally cannot resist performing and listening — who would be regarded almost anywhere else as gifted and talented — into hunted sociopaths, subject to brutal punishment and sometimes even death. Such surprising turns of identity also sometimes turn up in the least exotic locales. Among these are American schools of music, where there are only rarely students or faculty who would be identified as “disabled” according to such typical criteria as those included in the Americans with Disabilities Act. Those with obvious physical or sensory impairments are simply not admitted or hired, while others, with “invisible disabilities” (mental disabilities or performance-related injuries such as mine) rarely claim such an identity or seek needed accommodations or treatment, for fear that such disclosure would harm their careers. But ours is a society that thrives on competition that unfortunately sometimes devolves into name-calling, stigmatization, and bullying that is sometimes manifest in labeling “inferiors” as disabled, by calling such names as “retarded.” In music schools, this often takes the form of bemoaning the presence of and underserving international students who are musically gifted, but English-language-challenged, and who thus struggle with their academic coursework. These talented, hard-working students thus become surrogates for those people with disabilities who are excluded from enrolling at all. 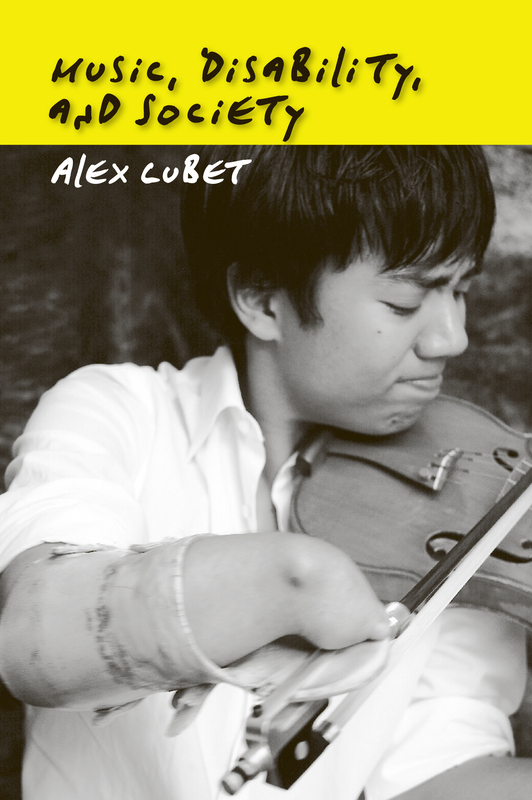 Music, Disability, and Society is the first sole-authored book in the emerging field of disability studies in music. As such, it is only a beginning, though, I hope, a rich, complex, and useful one. There are many more stories to tell. Steven Salaita, author of Israel’s Dead Soul explains why he chose such a provocative subject–and such a provocative title. I am, of course, often asked about the title. I cannot complain about the inquiries, though. When one chooses to title a book Israel’s Dead Soul, he or she can’t rightly expect polite nodding or painfully feigned interest when that title is uttered. It is good to give a book a title that provokes reaction, though in this case the reaction has a decent probability of being negative. But I relish the opportunity to discuss Israel’s dead soul, which is why I named my book Israel’s Dead Soul. There needs to be discussion, much more discussion, of the role a mythologized Israel plays in American political and intellectual life. The best way to understand what I mean by the title is to read the book, but I offer some thoughts on it here. There is no false advertising in the title: I have no affinity for Israel or Zionism, and I wanted to make that clear for anybody picking up the book, no matter his or her politics. The adjective “dead” intimates finality and thus my belief that Zionist settler colonization is unsustainable. The title also illuminates a profound skepticism I have about the propensity of people to imagine nation-states as anthropomorphic entities. This happens in lots of ways: by referring to nation-states by the pronoun “she,” by conceptualizing their bureaucracies and policing mechanisms as living organisms, and by endowing those nation-states with souls. Nation-states, however, do not exist to do humane things; they are invented replicas of elite societies that steadfastly facilitate their enrichment. I don’t believe that Israel is unique among nation-states in being soulless. All of them share this distinction. I do believe Israel is unique in the level of anguish its citizens and supporters express about its soul. My book quotes a wide variety of writers and politicians who wring their hands about Israel’s declining soul or the potential Israel has, if its behavior doesn’t improve, to lose its soul altogether. The point is that Israel once stood for something noble and compassionate and that its foolishness or arrogance or shortsightedness has separated it from its better self. I find this type of reasoning unappealing and unconvincing. It belongs to the same rhetorical tradition we see in the United States, where commentators and politicians lament actions such as torture or extrajudicial killing and implore our leaders to restore the true spirit of America. The founding of the United States, of course, was accompanied by chattel slavery and the dispossession of indigenous peoples. Israel likewise has no noble or compassionate origin: it was founded on the displacement of 700,000 Palestinians and immediately consecrated juridical racism that would exclude Palestinians from the full rights of nationality. By acknowledging the violence central to the founding of Israel (and other nation-states) we can question the moral commonplaces of jingoism that usually accompany nationalistic celebration. If Israel has a corrupted soul, then it can presumably vanquish corruption and restore its endemic purity. This would be possible, however, only if Israel ceased to exist as an ethnocentric nation-state. Such is the irony of any desire to restore the nation-state to honor. The only way to vanquish the impurities of the nation-state is to vanquish the nation-state. I reject, in all their manifestations, the ideological vocabularies of exclusionary belonging so fundamental to discourses of Zionism. To mourn Israel’s dilapidated soul is essentially to accommodate the logic of ethnonationalism. In any case, as long as that dilapidated soul belongs to Israel it has no chance of resurrection. This year marks the sixty-fifth anniversary of the death of Fred Milnes. For all but the keenest soccer historian, his name doesn’t carry much weight – yet in the early history of the game in America it has a genuine significance. Born in 1878 in a village just outside Sheffield, England, Milnes was very much a product of his era. A steel company executive (and millionaire, by at least one account), his playing career moved in a curious path of fits and starts. During the 1903-1904 season, he appeared for at least three different English teams, helping one of them to reach the amateur cup final. In 1906, he signed for Manchester United, though he never appeared in their first team; that year, he also turned out for the first England national amateur team, which whitewashed France, 15-0. His contribution to American soccer began in 1905, as captain of the touring Pilgrims Football Club, the first team from the British Isles to appear in this country. Students of American soccer history will be familiar with the significance of this tour, and the ease with which the Pilgrims – who were something of an all-star unit rather than a permanent entity – disposed of the local opposition. But not many will be aware of the silver favor the Englishman bestowed upon the American game in the wake of the tour. Variously described as the Milnes Cup or Milnes Trophy, his prize was presented to the winner of the Intercollegiate Association Foot Ball League. Amid the intense popularity of gridiron football, soccer had been all but left for dead on campus; the fledgling six-team league was the only college soccer circuit in the country, and in 1905 not far from the sum total of intercollegiate interest in the game. Haverford College, a liberal-arts school outside Philadelphia, had formed one of the country’s first college teams, in 1902; fittingly, it won the Milnes Cup the first three times, sharing it in 1908 with Yale. In the meantime, Milnes had wandered across much of England with his cleats in tow. He appeared fleetingly for a bewildering variety of clubs, including Leicester Fosse (now Leicester City), Norwich City, Tottenham Hotspur and West Ham United. But when promoters in St. Louis offered $10,000 for the Pilgrims to return to the U.S. for another tour in 1909, Milnes re-formed the team. Once again, they had little difficulty in overcoming most of their opponents. Said to have played soccer in no fewer than seventeen different countries, Milnes by now had also become vice president and general manager of the Park View Steel Company in Sheffield. But his playing days were drawing to a close – and his trips to the U.S. had left quite an impression on him. Thirty-four in 1912, he sailed to New York City with a view toward becoming a resident there. Newspapers assumed he’d be snapped up by one of the colleges, who were desperate to attract anyone who understood the game. But Milnes kept playing. In the spring of 1913, he moved to Niagara Falls; he joined the Rangers club there, and the following season led them to the semi-finals of the inaugural National Challenge Cup (today’s US Open Cup). Milnes also wrote about the sport regularly for the Niagara Falls Journal, and assumed a position of authority within the Northwestern New York State association. He seemed to have found a new home. Toward the end of 1915, though, matters took a dramatic turn. The national governing body, the United States Football Association, suspended him indefinitely for his “failure to satisfactorily account for the funds” of the state association. Details of the transgression are something of a mystery – they were not widely reported – but the colleges suddenly stopped competing for his prize. Ninety-six years on, it’s not clear where the Milnes Cup ended up – Penn is likely to have won it for the last time, in 1914 – though it is only one in an extensive anthology of long-forgotten American soccer trophies. Milnes returned to England but made at least one return trip to the US, reaching St. Louis in 1920. He died in Leeds, England, on July 1, 1946. During their two tours, the Pilgrims played thirty-four matches in the U.S. and lost only three, outscoring their opponents 196-22. They impressed nearly everyone who saw them play. Yet never did they face any of the college teams that competed for Milnes’s trophy; and several generations would pass before the college game began to even approach maturity. While Milnes did much to help resuscitate soccer in America, there was a lot more than needed to be done – and the game would remain enfeebled for a long time to come. 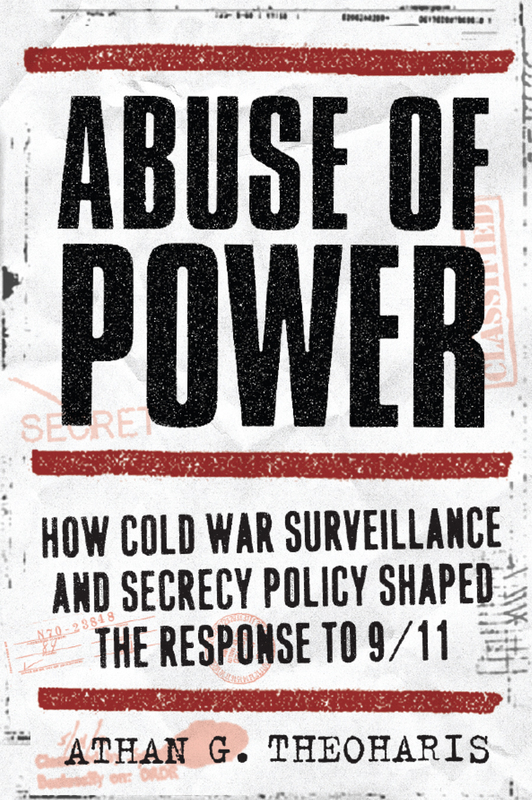 In this blog entry, Athan Theoharis, author of Abuse of Power: How Cold War Surveillance and Secrecy Policy Shaped the Response to 9/11, provides another example of how investigations can violate privacy rights. On March 27, 2011, the New York Times published reporter Charlie Savage’s review of FBI records released in response to his Freedom of Information Act request. Savage had requested the records of FBI investigations conducted between December 2008 and March 2009 under guidelines issued by Attorney General Michael Mukasey in September 2008. The released records confirmed that FBI agents had initiated 11,667 “assessment” investigations during this four month period of which only 447 resulted in more intensive “predicated” investigations. That such investigations were apparently indiscriminate and uncovered no criminal or national security threats is not surprising since under the Mukasey guidelines FBI agents were directed to “prevent” or “protect” against crimes and national security threats and accordingly could initiate investigations “beyond federal crimes” or that “may concern lawful activities” subject to the supervision solely of the heads of FBI field offices without any oversight by FBI headquarters or the Justice Department. These stark statistics, however, fail to capture the potential consequences of such investigations beyond their apparent violation of privacy rights. Indeed, because Savage did not obtain the records created through these investigations, he could not address three more serious questions: what criteria triggered such investigations as reflected in their overall pattern; were legitimate security interests advanced; and how was the acquired information used–given the Mukasey guideline’s additional requirement that “compromising information concerning domestic officials or political organizations or information concerning U.S. persons intended to affect the political process in the United States” was to be disseminated to the White House. Lacking access to the records of the investigations conducted under the Mukasey guidelines, we can better understand their potential for abuse by evaluating released FBI records relating to earlier FBI intelligence investigations (that is as well not based on the standard of a probable cause to violate a federal law) conducted during the years 1936-1976 that relied on what FBI officials privately conceded were “sources illegal in nature” (wiretaps, bugs, break-ins, mail opening). FBI intelligence investigations had been authorized under a secret directive of President Franklin Roosevelt of August 1936 ostensibly to anticipate and prevent espionage or sabotage. Congress first uncovered the abuses of such investigations in 1975 with Attorney General Edward Levi in response issuing new “domestic security” guidelines in March 1976 to preclude future abuses. Levi’s restrictions, however, were subsequently rescinded under more permissive guidelines issued by Attorneys General William French Smith (in 1983), John Ashcroft (in 2002) and Mukasey (in 2008). The acquired information, while of no value in advancing legitimate law enforcement or counter-espionage interests, moreover, did not molder in FBI files but instead was often exploited to advance a political agenda. FBI officials, for one, willingly served as the political intelligence arm of the White House providing presidents (from Franklin Roosevelt through Richard Nixon) with helpful information that promoted their policy, at times even partisan interests. FBI officials, in addition, sought both to contain those individuals and organizations which they deemed “subversive” and to influence public opinion by leaking information to members of Congress (Richard Nixon, Karl Mundt, Joseph McCarthy, Pat Mc Carran), congressional committees (House Committee on Un-American Activities, Senate Subcommittee on Internal Security), and sympathetic reporters (Don Whitehead, Courtney Ryley Cooper, Walter Trohan, Frederick Woltman) on the strict condition that the recipient would not disclose the FBI’s assistance. This earlier history suggests that non-criminal investigations do not necessarily advance legitimate security interests but can have adverse consequences for a society based on the rule of law and accountability. The mindless obsession over security of the post 9/11 era threatens to repeat the very practices of the Cold War era that precipitated outrage and condemnation when first exposed during the mid-1970s.